Come Check out the 1st ever bikeswap! 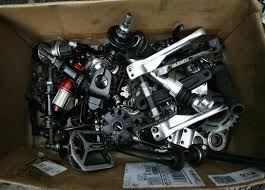 Piles of Used Parts, new parts, bikes, accessories and anything bike related. Hub's Used bikes and parts will all be 10% off! We will have space for 10 Vendors, Space is limited. Don't have a lot of stuff to sell, but just a bike? We will also provide a bike corral with the cost of $10 per bike, with a volunteer monitoring test rides etc. Limited amount of spaces available, from 10x10 and down. Please contact tsmith@bikeventura.org for Vendor pricing and details.